Austin, TX is ranked as the #1 most livable city in the United States by Kiplinger’s Personal Finance. Austin is not only the capital of Texas, but given its proximity to the downtown area and access to major routes of transportation (including public transit), North Austin is not far from the action. It’s a great place to look for your new office space in Austin . Interstate 35 connects Austin with San Antonio to the South and Dallas to the north through Waco. If you’re leasing commercial office space in North Austin, then Loop 1, also known as MoPac Expressway, is you’re main connection to the heart of Austin. However, if you’re looking to skirt the traffic through the city, then the 360 Loop will take you on a scenic tour to the west of Austin and around all the hustle and bustle. Capital Metro runs buses and Metrorail out to north Austin. Yet even with a dense population and mass transit, Austin is a pedestrian friendly city with bike lanes all over Austin, including the Lance Armstrong Bikeway. 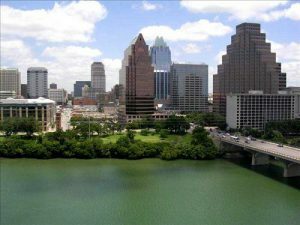 In addition, Google’s ultra, high-speed fiber optic Internet and TV service is on the horizon for Austin. Austin boasts the 5th largest campus in the nation. The University of Texas in Austin is consistently rated one of the top universities in the United States, and the highest-ranking engineering, business and law schools in Texas. These are just a handful of the places you’ll love in Austin. The Quentin Tarantino Film Festival. If you’re looking for music, Austin is the place. Known as “The Live Music Capital of the World”, you can get a taste for the Austin scene via Austin City Limits or the Sixth Street Entertainment District.